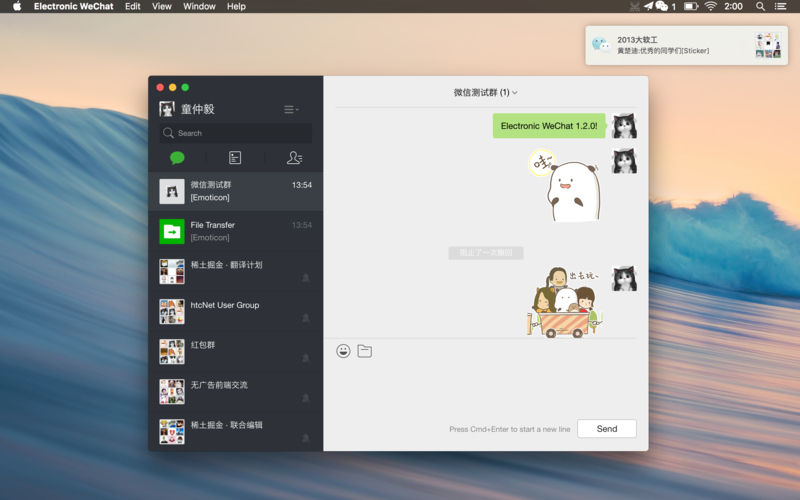 GitHub - kooritea/electronic-wechat: A better WeChat on macOS and Linux. Built with Electron by Zhongyi Tong. Want to be notified of new releases in kooritea/electronic-wechat? Pull request Compare This branch is 132 commits ahead, 1 commit behind geeeeeeeeek:master. Mac OS X 和 Linux 下更好用的微信客户端. 更多功能, 更少bug. 使用Electron构建.